Summer started on June 21st, and temperatures can get plenty hot here in New Jersey. We’re also in a pretty humid location, which can make the heat even more oppressive. The thing is, getting outside is great for everyone. The fresh air and sunshine can make all the difference for the elderly, and at The Heritage, we work hard to encourage our community members to spend time in the great outdoors at optimal times of the day. This is because you need to be smart when you’re elderly and it’s summertime. We’ve taken the past few blogs to explore things you can do to make sure that yourself or your loved one is able to enjoy summer to the fullest. 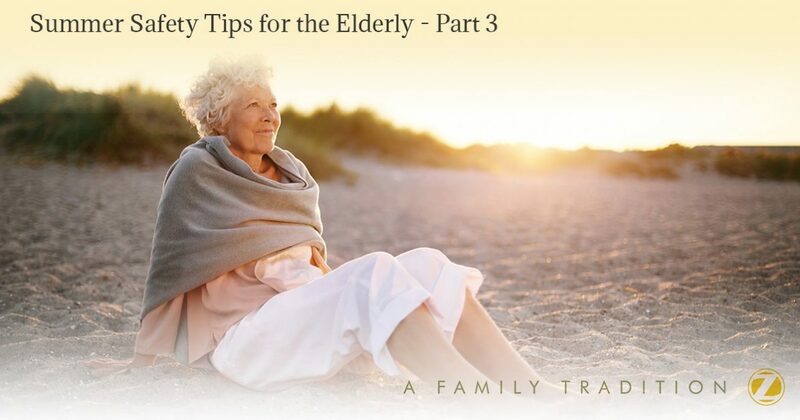 In our last blog, we discussed connecting with your neighbors, watching for signs of heat stroke, and using bug repellant. We have four final tips to help you out today! 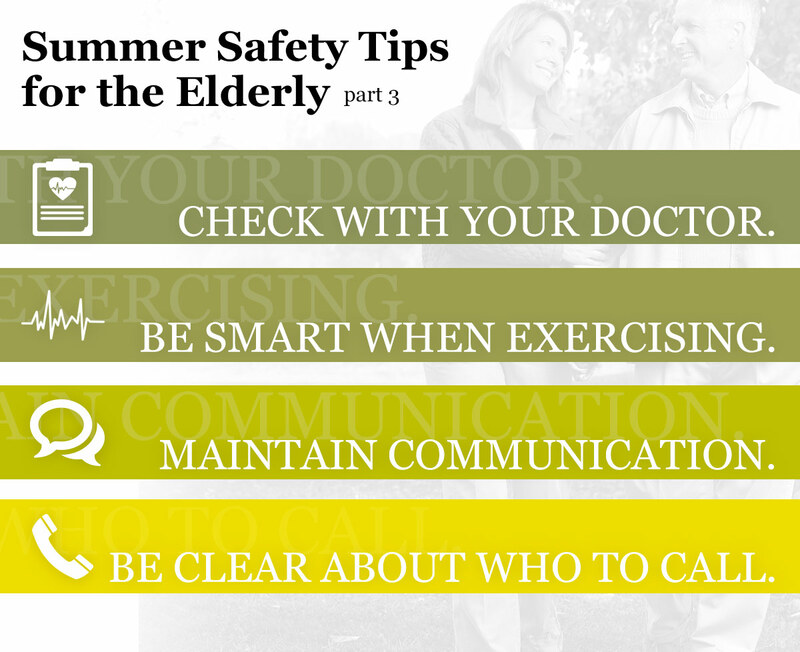 We are happy to wrap this series up with four tips that will ensure you or your loved one has a great summer! Summer’s high temperatures can do more than make you uncomfortable; they can change the effectiveness of your medications. At your next appointment, ask your doctor if you need to take action to protect your medications, especially if you don’t have air conditioning. You should enjoy summer, not have to suffer through an aggravated condition that your medication isn’t treating as it should. Many people love summer because it’s their chance to get outside and walk, garden, and more. Seniors need to make sure they’re dressed for the weather. They also need to ensure that they keep track of time and drink more water than normal. If you like to exercise, try to get out in the early morning when temperatures are more reasonable. You’ll enjoy your time outside a lot more! If you’re going to be spending an extended amount of time outside in the heat, loved ones and family should know. That way, if something goes wrong, you won’t be marooned without anyone knowing where you are. Be clear about who to call. This tip applies to any season, but it is especially important in summer when temperatures and activity levels rise. You should have a list of who to call in an easily-accessible place in your home. You should also bring a list with you if you’re going outside. If you have a cellphone and know how to use it, you can program emergency numbers that can be dialed with the touch of a button. At the end of the day, a good life requires community. The team at The Heritage understands this and is passionate about empowering our community members to live their best lives. We offer world-class senior living as well as secure apartments where the elderly can thrive in safety. Learn more about what we can do for you or your loved one today!